Our impact on our community is at the heart of what we do as Octopedes’, which is why giving to charity is so important to us. Great Ormond Street Hospital (GOSH) is a cause close to our hearts and has therefore been the chosen beneficiary for our CSR programmes over the past few years. In 2017 we ran a company pub quiz where we proudly raised £530, which was matched by OG to make a total of £1060 to donate to GOSH. As a thank you for our support, GOSH recently invited us to visit the hospital. Naturally, it was an emotional experience. But the main thing I took away from it was how wonderful it was to see the amazing the work they do at GOSH up close. Our visit began with a talk about the history of the hospital and what it does today. GOSH was founded in 1852, opening with just 10 beds as the first hospital in the UK to offer dedicated care to children. Now it’s the largest children’s hospital in the UK. As a visitor you can see that they’ve thought of everything to help make children feel less scared and stand up strong – from the boat shaped reception, to colourful wall paintings and giant lifts which the whole family can fit in all together with a hospital bed. 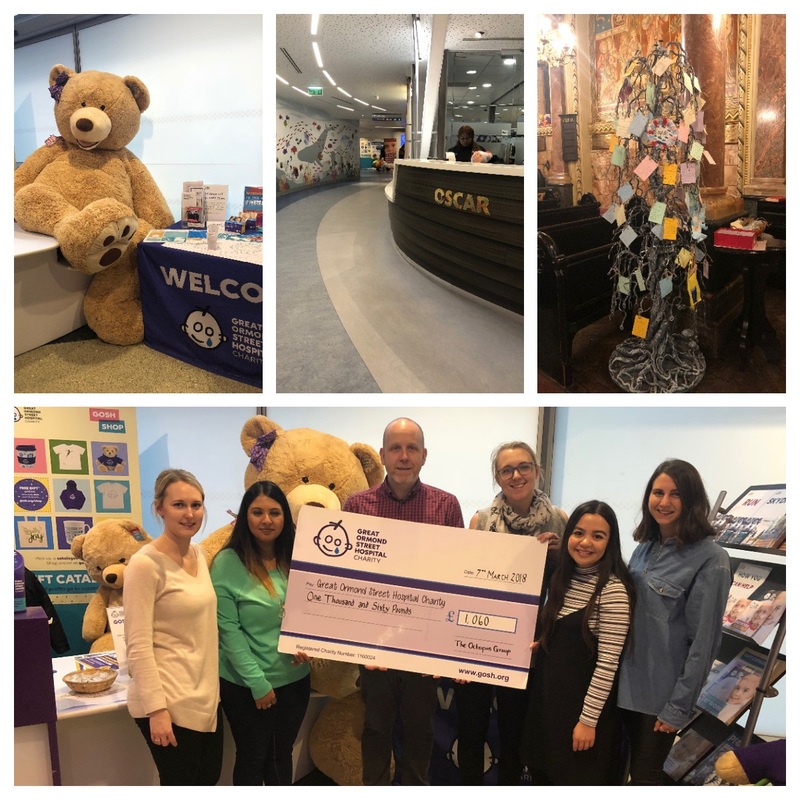 Alongside providing care, the charity does loads of fantastic work including helping to fund paediatric research and support the GOSH hotel, which is located near to the hospital for families with sick children to stay in to relieve some of the stress or having to worry about commuting in. The chapel was a real stand out piece of the building. It felt like a safe haven for families and patients to visit to get away from the bustle of the hospital. It is beautifully built and decorated, with a very peaceful atmosphere. And the wishing tree pulled on my heart strings, with hanging messages to heal those that were poorly. As you may know, as well as government and private donor money GOSH is funded by the likes of Premier Inn and the ongoing royalties from Peter Pan (in April 1929, Sir JM Barrie gave all the rights to his play and novel to the hospital) Rolling into 2018 we will continue to do all we can to be a part of that, with more charity events and initiatives. Meanwhile, as a business we will be supporting our Octopedes on their individual charity endeavours. We see many Octopedes partake in sponsored runs and marathons, and we are very proud of the work they continue to do.